Vineyards of the Marne’s Valley and 1er Cru Villages, Dom Pérignon’s tomb in Hautvillers. Tour and Champagne tasting at a Grande Maison de Champagne in Epernay, Discovery of the Avenue de Champagne, Champagne tasting lunch at a boutique winery, tour and Champagne tasting at a family wine maker. Start your day with the Scenic Route du Champagne of the Marne area. It meanders among the vineyards and picturesque villages such as Cumières and Damery, offering a charming bucolic landscape. We will give you all the keys to understand the idea of « terroir » and explain all the works in the fields. Making good Champagne starts always with good grapes. 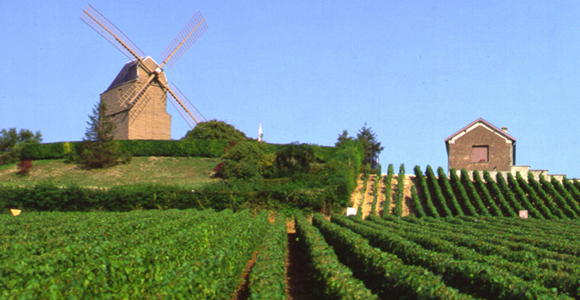 You will, of course, discover the village of Hautvillers to meet with a prestigious figure: Dom Pérignon. He is the one who finalised the process to elaborate Champagne. 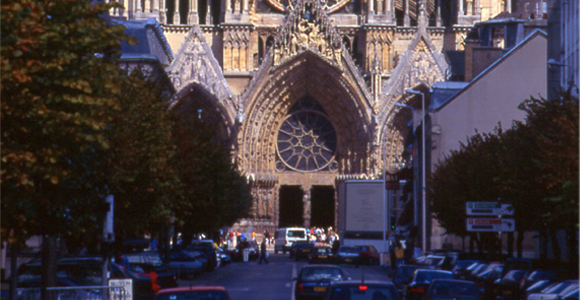 He highly contributed to the fame of Champagne and is now buried in the church of the former Benedictine Abbey of Hautvillers. Stroll along the Avenue de Champagne in the heart of Epernay is internationally known as the "Capital of Champagne". Epernay’s stunning main street appears like an exhibition of opulent mansions housing the most illustrious Maisons de Champagne: Moët & Chandon, Perrier-Jouet, Mercier, etc. Not to mention the 100km of tunnels under the pavement! Founded in 1743 by Claude Moët it becomes within 40 year the first international brand in the world. Its history is linked to some famous figures such as The Marquise de Pompadour and Napoleon 1st. This Champagne is also sold to many important historical events among which King Edwards VII’s coronation, Cannes Film Festival, the 120th anniversary of the Liberty Statue, etc.…It is probably nowadays the most famous Champagne brand around the world. Champagne tasting Lunch.We will introduce you to local specialties which will be assorted with different sorts of Champagne (blanc de blancs, blanc de noirs, rosé) at a boutique winery. - Entrance fees and tastings at Moët & Chandon and at a family Champagne estate, Avenue des Champagne tour, Dom Pérignon with Hautvillers stop, Champagne tasting lunch with drinks included. - Wineries and family estates may change according to their availability.